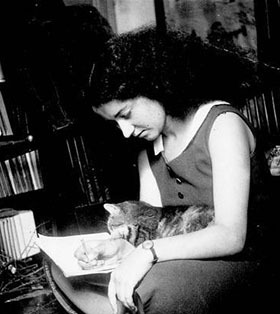 On this date in 1943, French resistance heroine France Bloch-Serazin was executed by the Germans in Hamburg. Bloch-Serazin English Wikipedia entry | French) was a Jewish Communist who had supported the Spanish Republican cause, so she was right in line for some official persecution after the Germans blitzed France. Arrested by French police on May 16, 1942, she was condemned to death by a German military court but deported to Germany to suffer that punishment. Her husband, Fredo Serazin, was subsequently murdered by the Gestapo in prison. As France Bloch-Serazin was born in 1913, she has recently enjoyed a renewed appreciation around the centennial of her birth, including the homage (French link) of her native city of Poitiers.